A Democrat takeover of Congress will also result in 2 years of nonstop calls for the impeachment of President Trump … and the impeachment of recently-confirmed Supreme Court Justice Brett Kavanaugh. It’s more important than ever for all my readers to vote their values in this election. To do so, I recommend our voter guide. For those in Maine, your online voter guide will be available here soon. Those in every other state can go here. 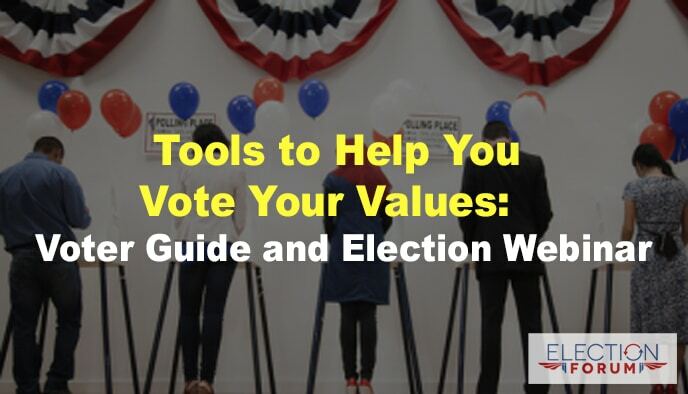 Part One: How to vote your values – including why Christians should vote, and how to vote strategically to limit evil. It will give you the principles you need so you can explain how Christians can evaluate which candidates are the best. Part Two: For those in California, I will go straight down the ballot and explain the California judges, propositions, and statewide candidates. We will be giving instructions on how to register for the webinar in the next few days. Watch your email for that information. The 44th district candidates look the same to me and I still have no idea whether to a vote for one or the other or just don’t vote. When will the site have the remaining judges listed? Personally I’m not into extended politics sense my primary parties are not currently over the white house and most of my primary party seems to be down played in the choices I think it would not be bad or awfully bad ideal not to apply for your news letter at this time thank you. How do I access the Webinar on October 24th?